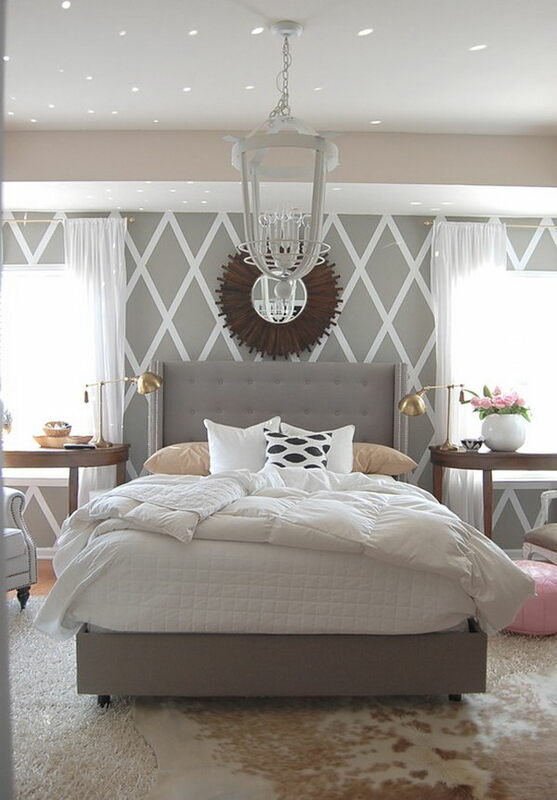 When we are considering to decorate our master bedroom, the most important thing that should be taken into consideration is the paint color. 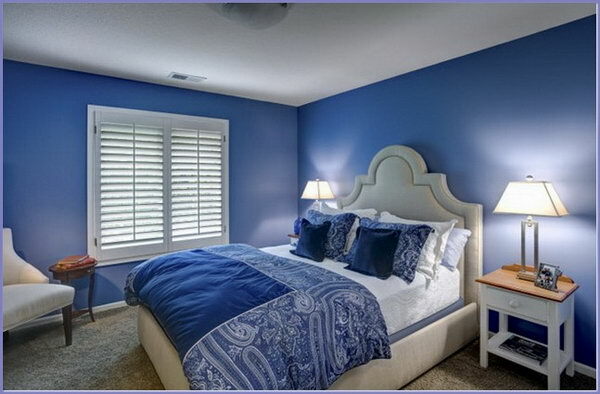 The paint colors of a room can reflect the whole style of the home decor and the personality of the master. Different colors can have different effects. They carry different meanings and energies. The right color may create an uplifting environment, while the wrong color might cause subtle feelings of frustration or depression. 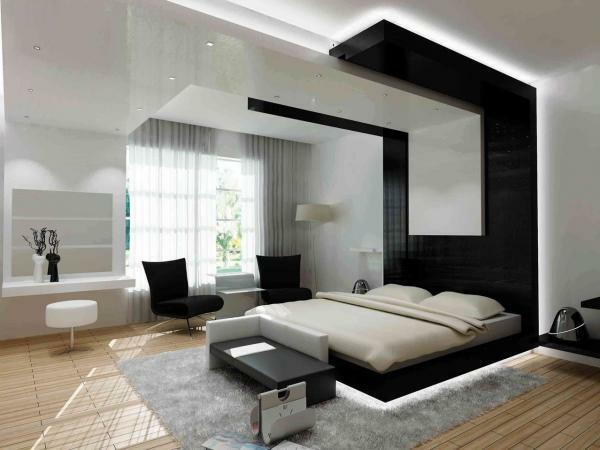 White is the favorite color of most people when it comes to bedroom decor as it is soft, serene and soothing. 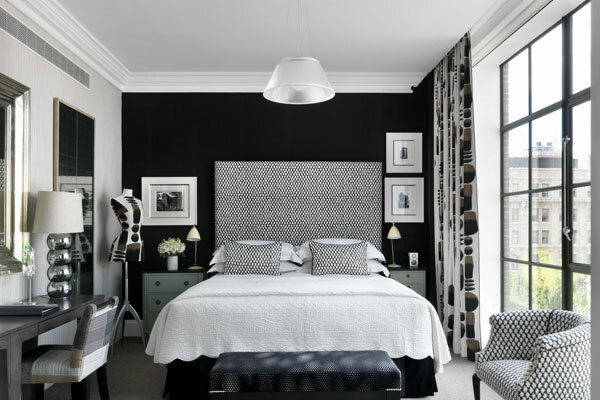 Black and white is a classic color combination that works well in a master bedroom. 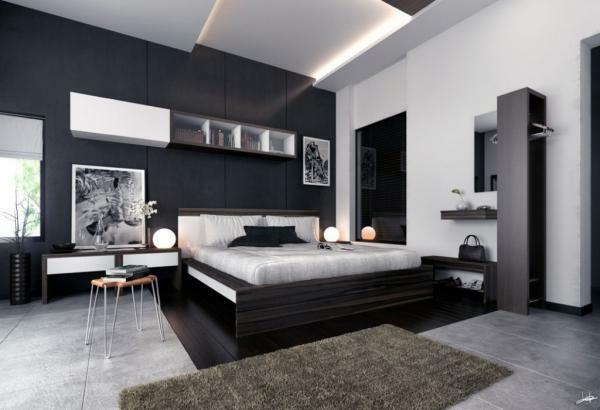 The contrast makes it interesting, and the simplicity makes it soothing. 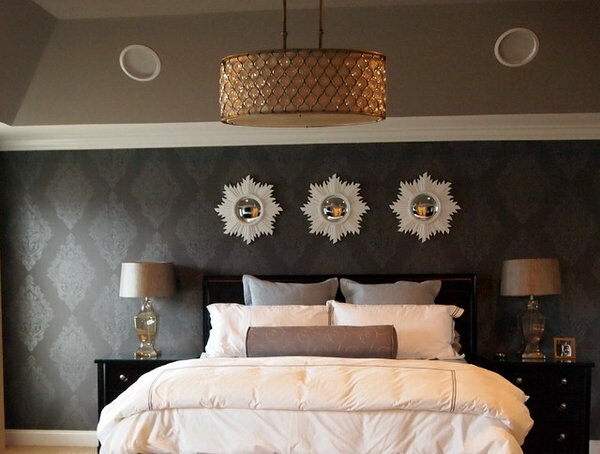 Purple Themed Master Bedroom. If you want to add a bit of coziness to your master bedroom, using this color is a lighthearted and unexpected way to do it. 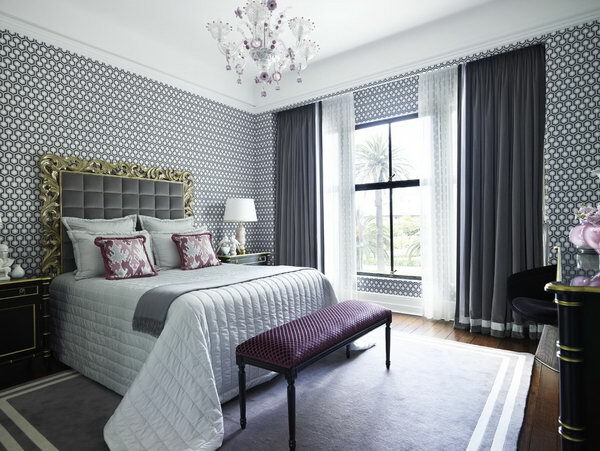 Purple bedrooms can be a great place for relaxation and a little soul-searching. It looks very classic with the violet and white shades. Green is a color of nature and environment. 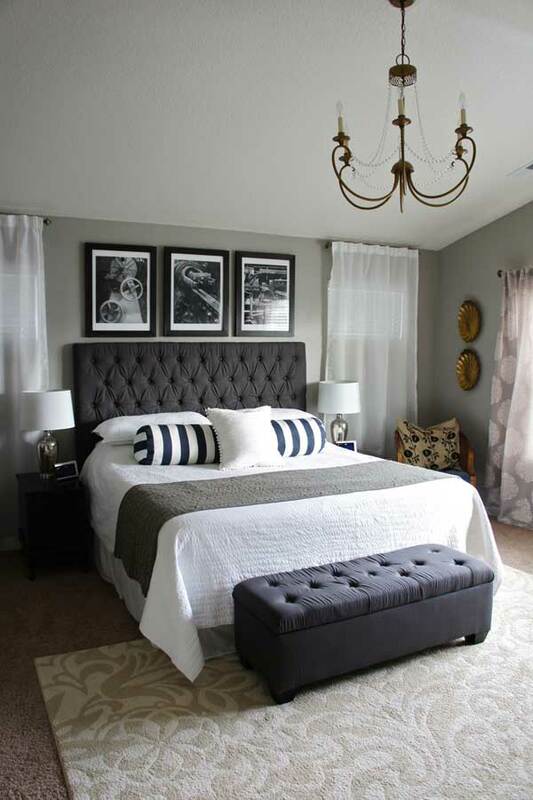 It is famously restful to create a calming sleep when used in the bedroom painting. 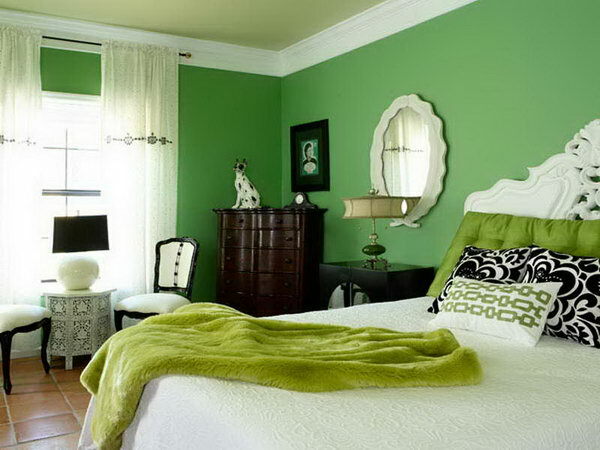 It is a perfect color to bring a nature-inspired freshness into your personal space. Blue brings a touch of peace and serenity.It is the color of truth. 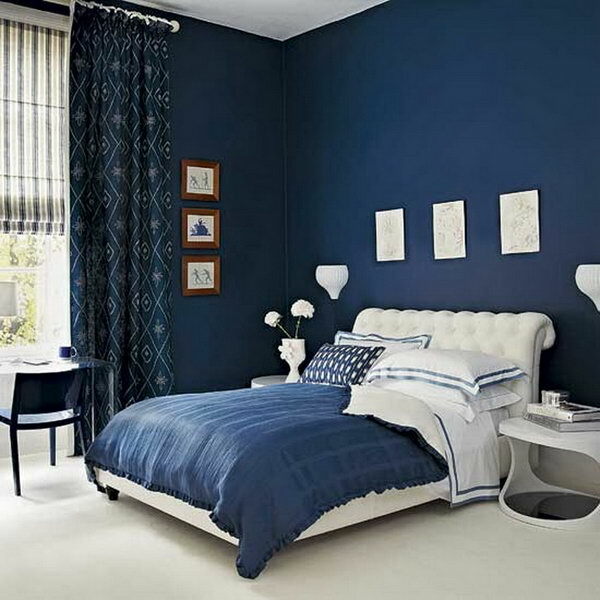 A blue bedroom is extremely elegant, quite conservative, but it can also be surprising and intense: it is all a matter of tones. 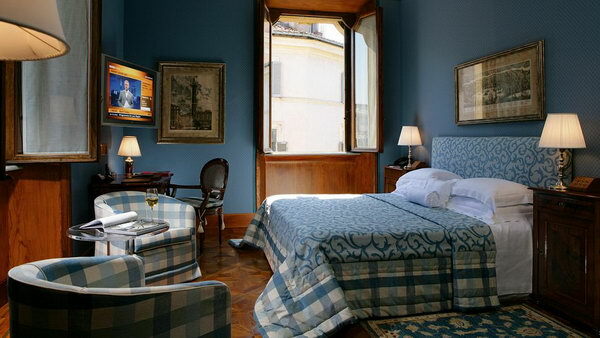 Blue is a versatile color that in its darkest hues is dramatic and moody. 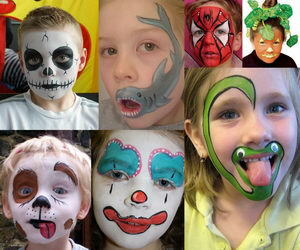 It can mix with other hues to create various and stunning color effects. Gray is a neutral color between white and black. It is a color always related to maturity, profession. 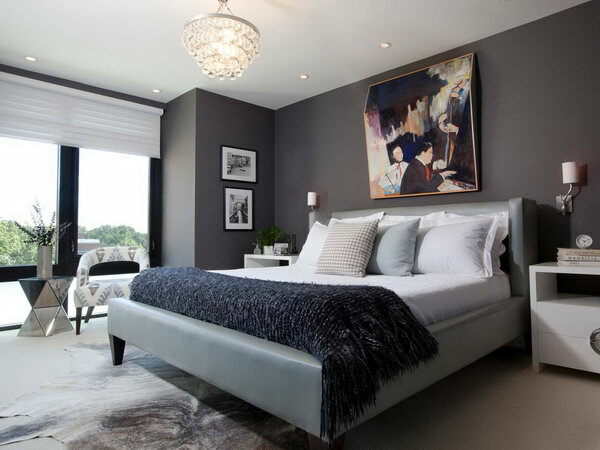 Those who decorate their bedroom in gray seek peace and tranquility and have an eye for modern interior design. 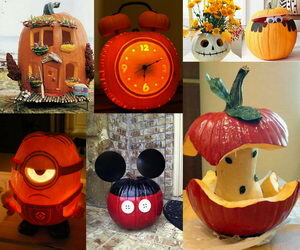 Orange is said to be a color of playfulness and creativity. Since it is the beautiful combination of the warm yet energetic red and fun and happy yellow, it is truly a color of joy, warmth and passion. It is stimulating and exciting yet can be soothing and pleasant too. 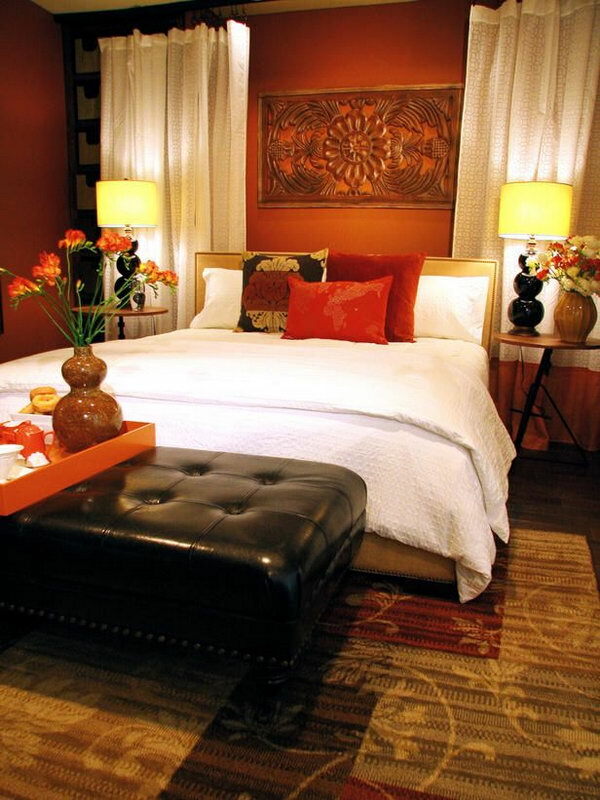 A space filled with shades of orange exudes vitality and cheer. The people who decorate rooms with orange hues tend to be outgoing, social and easy to be with, even if they do like to be the center of attention. 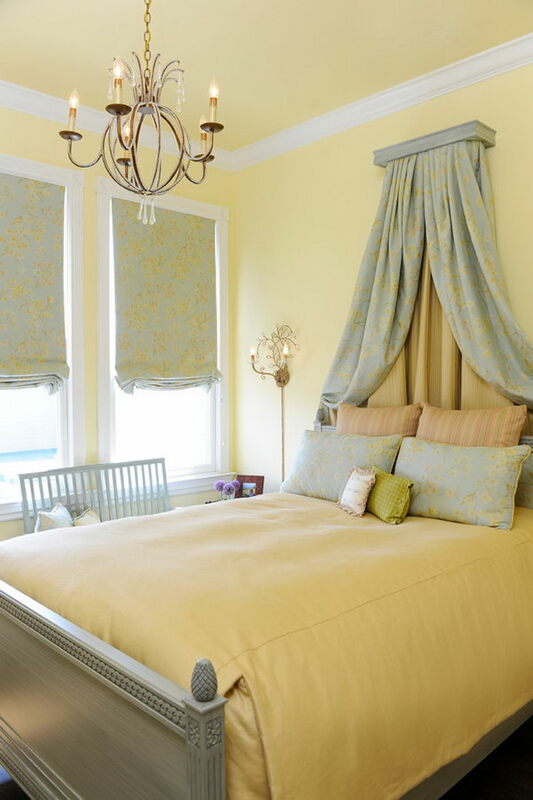 Yellow is the color of flowers, lemons, and sunshine, offering fresh appeal in each of its many variations. 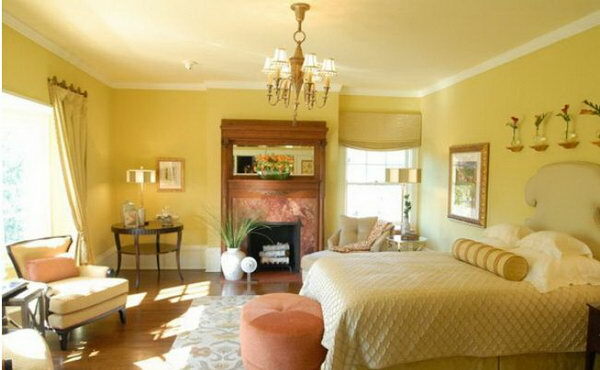 It’s a cliche that yellow is sunny, and those who pick shades of this color for their home decor tend to be sunny, too. 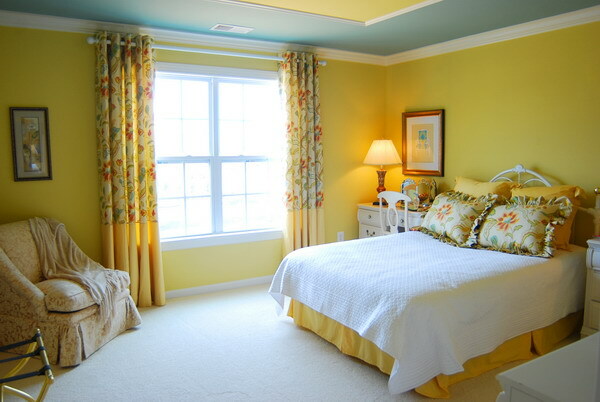 Browse these fresh ideas for painting your master bedroom with yellow, and discover ways to give any room an infusion of sunny decor. 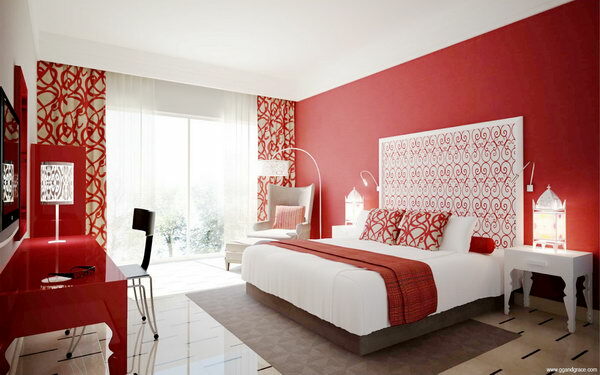 For centuries, red is a fire color and it has always meant passion, energy ,power, desire. Red is also the color of romance and love, that’s why getting red roses from a special someone means “I love you”. 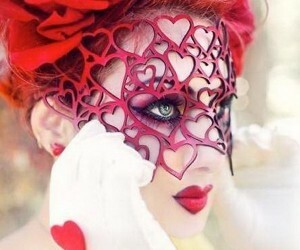 People who are partial to shades of red, generally are optimistic, outgoing and, well, passionate about life. 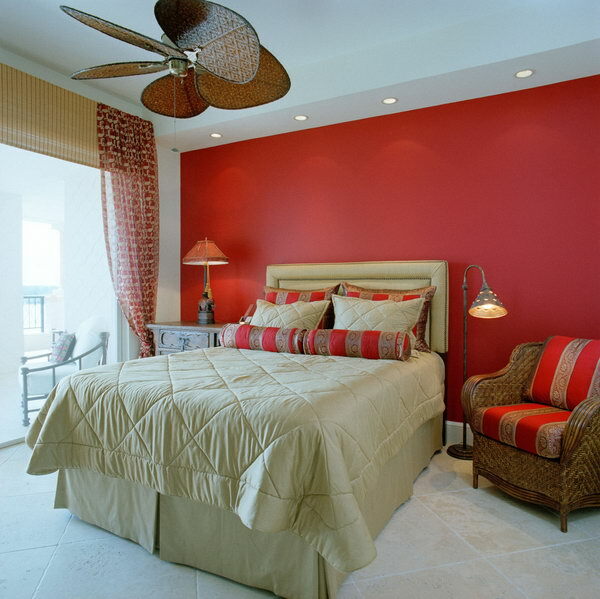 Red is also a popular painting color in home decor. Full of drama and passion, it’s not a color for the faint of heart, but when thoughtfully used—whether on a wall or in a handful of accessories—it can make a room come alive. 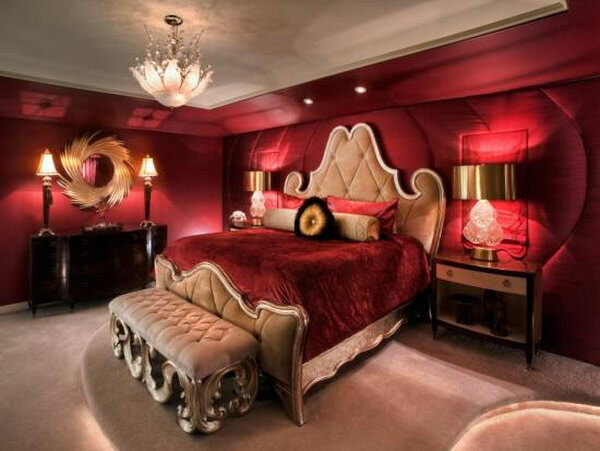 Choose the right furniture and your red living room will truly become a triumph of passion.